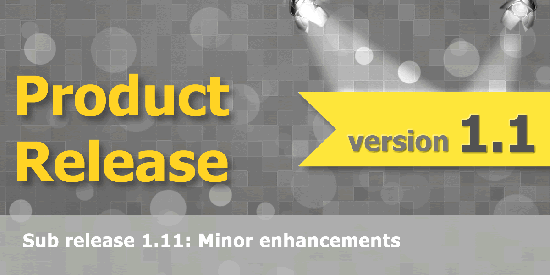 We just released of version 1.11. This is just a minor release with some housekeeping stuff, these were minor pieces of functionality but needed to get done because they should be part of the standard. - improved general usability of the "settings" area. Like we said, nothing spectacular in this release but some basic stuff that we had on our housekeeping to do list. What is great of course is that all these release are completely transparent to you. No upgrades needed, you automatically get all these updates.